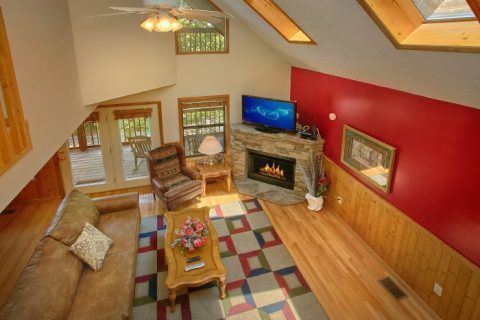 Experience "Brentwood," a cabin close to Pigeon Forge with pool access. 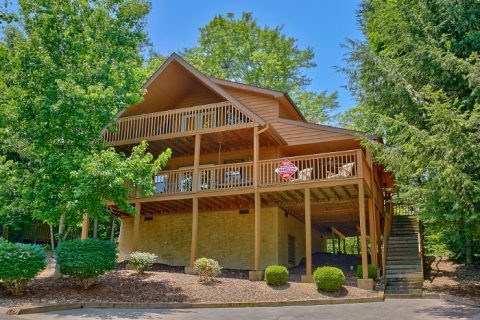 Located in Brookstone Village Resort, guests of this cabin will enjoy great amenities and resort facilities like seasonal pool access and basketball courts. 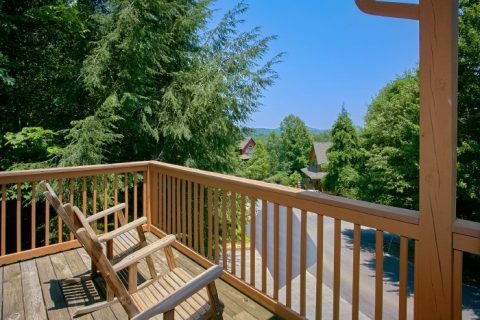 This 3-bedroom, log cabin sleeps 8 guests comfortably and is ideal for families to enjoy the Smoky Mountains in style and comfort. 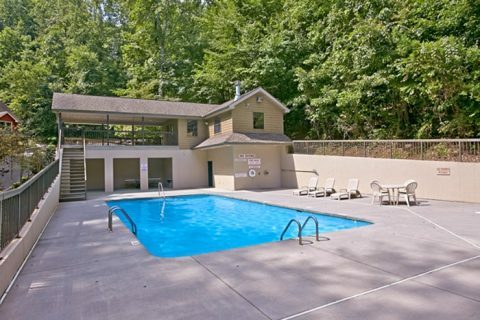 For family entertainment downtown, your cabin rental is close to great attractions like dinner shows, museums, and the Dollywood Theme park! 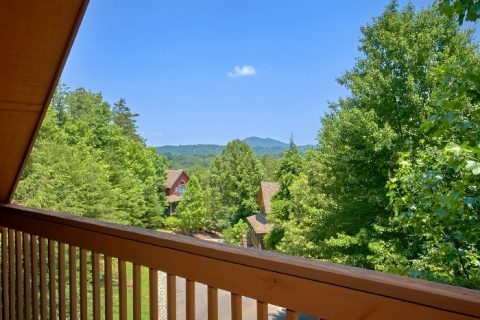 Better yet, quick access to the Parkway ensures guests can enjoy quick access to nearby Gatlinburg and the Great Smoky Mountains National Park. 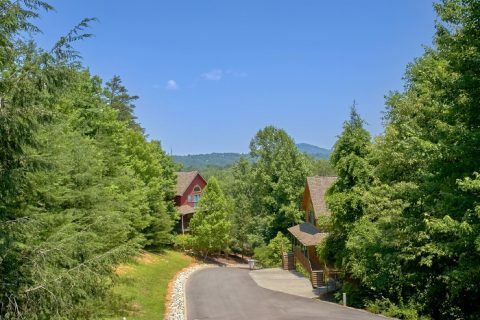 With great Smoky Mountain views in a peaceful forested setting, there's plenty to love about this cabin in the Smokies. 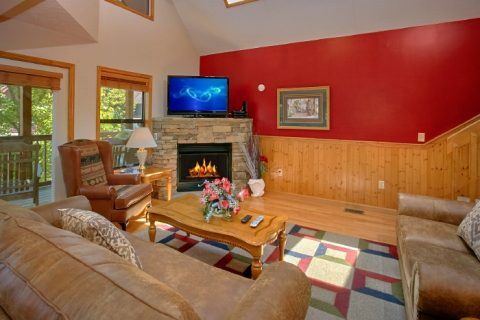 Inside "Brentwood," you'll find a welcoming gathering area with furnishings, television, and a stacked stone, gas fireplace that can be used seasonally. 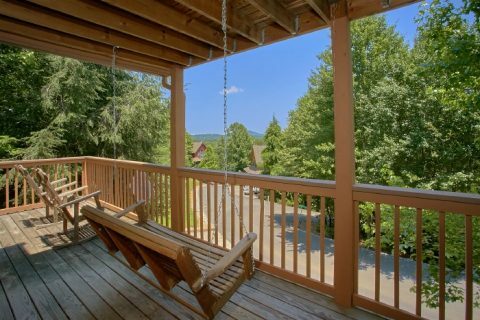 With two cabin porches, there's plenty of space for relaxing in the fresh mountain air. 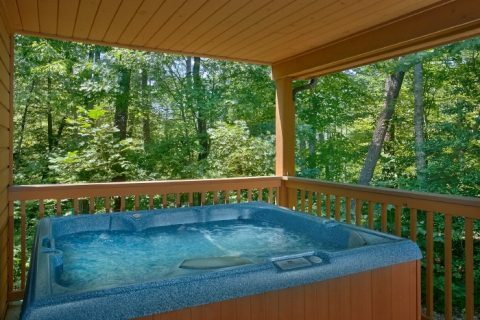 Even better, your Smoky Mountain cabin rental with a hot tub allows you to enjoy a soothing dip in the fresh mountain air. 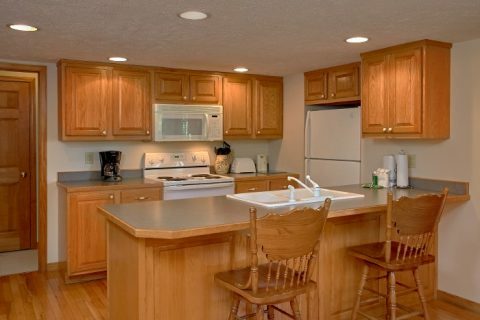 Meanwhile, you can hold a cookout with your cabin's gas grill. 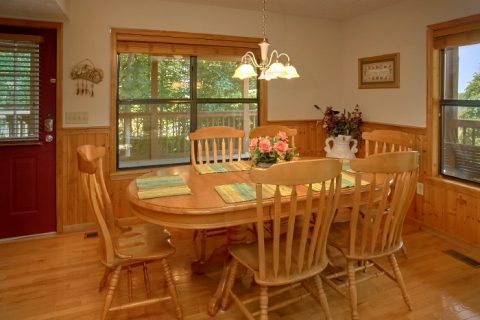 For some in-cabin entertainment, you and your family can enjoy some competition with the multi-game arcade game. 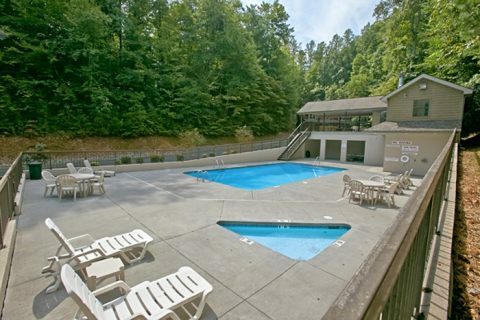 During the warm summer months, take a stroll down to the resort pool area for a refreshing swim. WiFi Internet in your cabin allows you to stream movies, TV shows, and music in the comfort of your cabin. 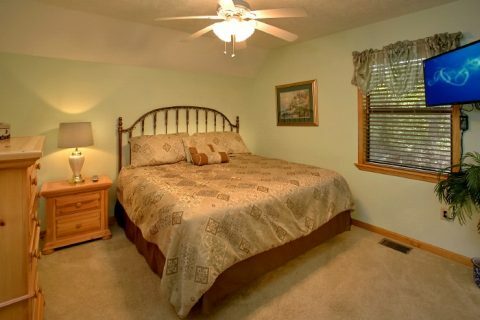 When it's time to turn in the night, guests can look forward to sleeping in 3 comfortable bedrooms. 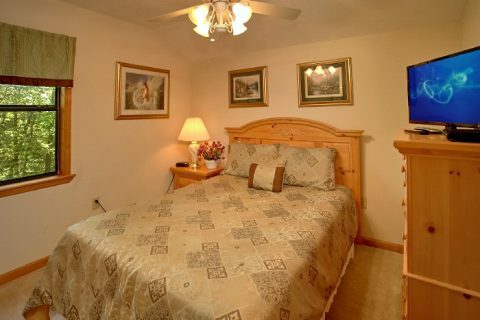 Two bedrooms feature king beds and there is an additional queen-size bedroom. 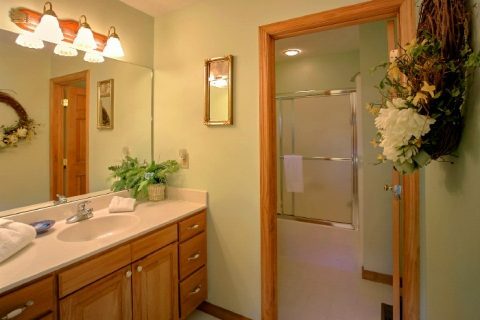 For your comfort and convenience, each bedroom comes with access to a private bathroom. A sofa sleeper provides additional sleeping space for guests. 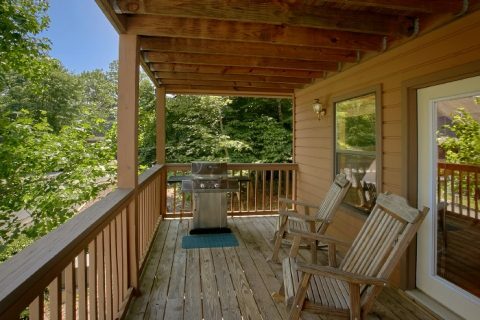 Book your Brookstone Village cabin with pool access and save with our special 15% discount! 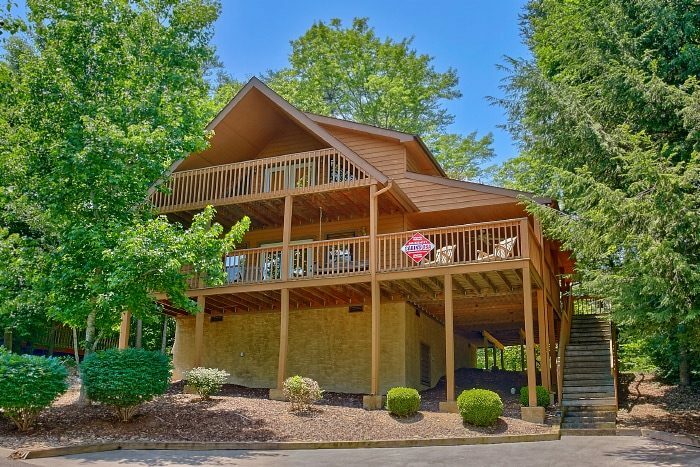 Simply reserve your cabin online with Cabins USA Gatlinburg for a family vacation in the Smokies filled with fun, laughter, and relaxation.